This was a character I developed for the National Lottery. 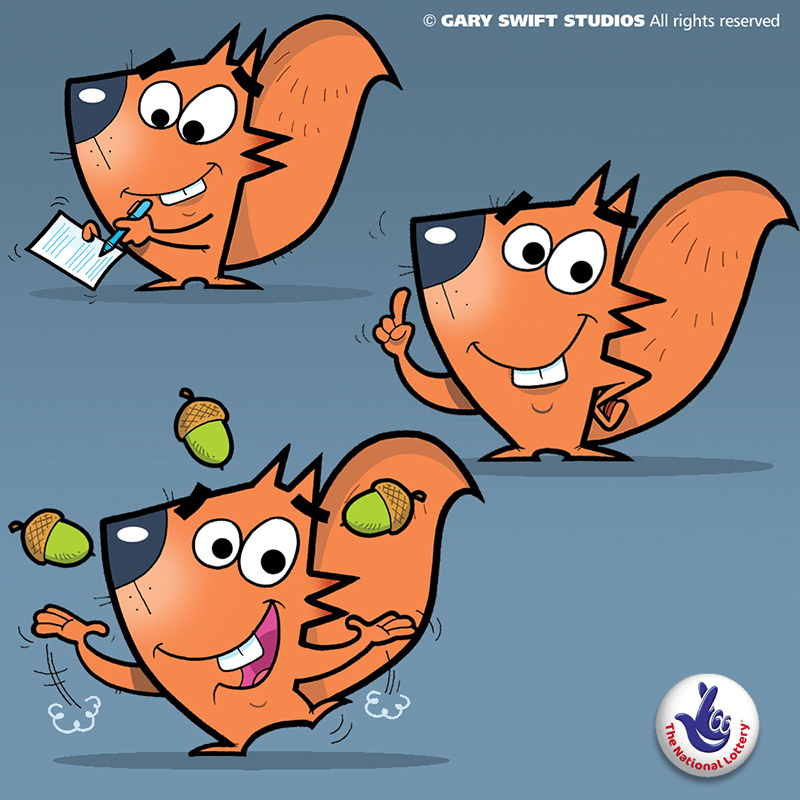 The client wanted a fun, Squirrel cartoon character doing lots of activities for their print campaign. This is just a selection of the poses.